My father passed away September 28, 2014. Before he died he was always asking me when I'd be getting my motorcycle. 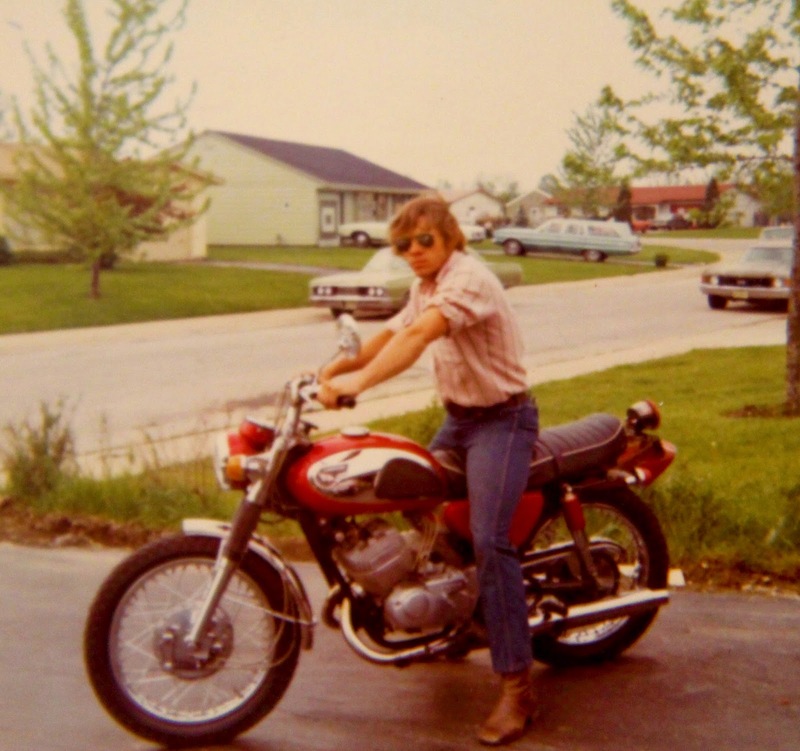 Unbeknownst to me he had actually had a motorcycle before I'd even been thought of (mid 1970's)! This picture gives me a glimpse into a tucked away corner of the past that I didn't know much about. It sheds light on the wild side my father had before I'd been born. It's a picture of when he was young, wild, free and cool. He will always been a saint and a hero in my mind but I hope you find him to be just as cool as I do. I present to you Big Bad John the Biker!